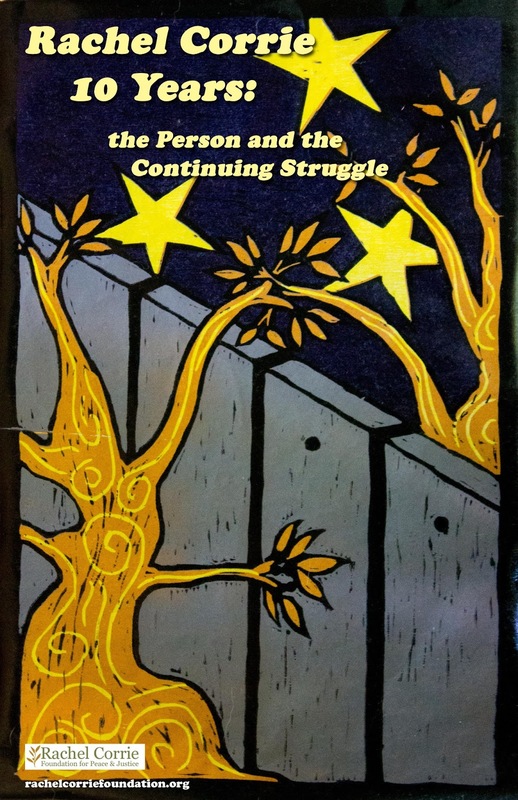 Blog to End the Occupation: 10 Years Later- Remember Rachel Corrie and Act! From our member group Rachel Corrie Foundation for Peace and Justice. Saturday, March 16th, the Rachel Corrie Foundation will mark the 10th anniversary of Rachel's stand in Gaza. It has been an extraordinary, challenging ten-year journey for our organization, for the Corrie family, and for those in our community and beyond who have worked tirelessly for justice and peace in Palestine and Israel, in the world, and at home. Now, we call on you - individuals, organizations, and communities - to join us in these actions and with your own creative, solidarity events or observances! Mark this 10-year anniversary! Call out Caterpillar, Inc. now on its faulty actions and explanations! Challenge the appearance of CAT's Washington Director of Government Affairs at AIPAC! Tell CAT to own up to its business with Israel and to end its complicity in violations of human rights and international law in Israel/Palestine. See how to help here! Mark this 10-year anniversary! Demonstrate your support for the rights of Palestinians that Rachel, many other internationals, Israeli activists, and Palestinians have stood to defend! 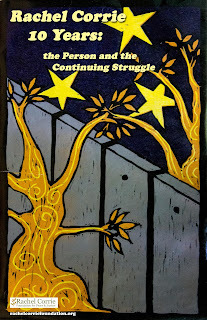 Reflect, connect the dots, and strengthen your community's commitment to justice for Palestinians and peace in the Mideast. Let us know what you plan so we can share and inspire others! Send your photos for our TUMBLR. See how to help here! "The international media and our government are not going to tell us that we are effective, important, justified in our work, courageous, intelligent, valuable. We have to do that for each other, and one way we can do that is by continuing our work, visibly." Let's use this March anniversary as an opportunity to make some noise and be visible in our support for equal rights for Palestinians, accountability and justice, and an end to Israeli occupation! Let's remember, act, and celebrate together - how we (like Rachel) have stood this past decade for justice, freedom, equality, and peace in the Middle East and beyond - and let' think together about how we move ahead to make freedom for Palestine a reality. Find a list of events taking place here.